The deadline requirements for GMO Education Initiative (formerly known as the National Education Initiative) programs have changed. GMO Education Initiative Event Applications and the supporting Grant Applications are due to the USDF Office at least 60 days prior to the start of the event. The primary objective of the GMO Education Initiative (formerly known as the National Education Initiative) is to create and support new and affordable programs to engage members. GMOs hosting these programs can be confident they are delivering high caliber instruction and educational content consistent with classical principles of dressage and the Pyramid of Training. Events are USDF University accredited and members who attend automatically earn education credits. Participation in this program demonstrates commitment to providing quality educational opportunities and the promotion of classically correct dressage training at all levels and in all locales. GMOs hosting approved programs are eligible to apply for a USDF GMO Education Initiative Grant. Click each title below to open more information on the selected topic. Please email questions to education@usdf.org or call USDF at 859-971-2277. The GMO Education Initiative has four event formats. USDF will help GMOs use these formats to create a program that will meet the needs of their membership. Each event format has specific criteria for the selection of the instructor or judge; additional instructors may be brought in as needed. GMOs may apply to utilize an instructor or judge that does not meet the criteria listed below but additional documentation and USDF approval will be required. At a minimum the instructor or judge must have experience in teaching the proposed material or event type, have references available, and have successfully completed a program for USDF or a GMO in the past. USDF membership of any level is required to participate as a rider in these events. There is no membership requirement for auditors or participants in the unmounted sessions. Riders of any age level are eligible to participate in a GMO Education Initiative event. 1. Clinics/symposiums: Include traditional riding clinics and those with a more focused curriculum, offering a variety of experiences to riders of all levels. Instructor must be a current USDF Certified Instructor, Honorary Instructor, or USDF Instructor/Trainer Examiner who have completed their continuing education requirements and Safe Sport Training. Instructor and Rider Selection must be done in a manner that insures that the schooling level of the riders will not exceed the certification level of the Instructor. Instruction must be in the discipline of dressage. 2. Ride-a-Test Clinics: Provide riders an opportunity to receive a judge’s feedback in a non-competitive environment. Beneficial to all; these clinics provide competitors an opportunity to improve their dressage test scores and provide non-competitors an opportunity to receive feedback from a perspective they might otherwise miss. All judges must be a USDF L Program Faculty Member, current USEF Licensed Judge, FEI Licensed Judge or current L Graduate with Distinction who has completed the USDF continuing education requirements and Safe Sport Training. All tests ridden must be USDF/USEF/FEI dressage tests. 3. Camps: Provide riders and auditors with an opportunity to immerse themselves in a “horse vacation” and participate in a variety of activities over the course of a few days. Activities such as, but not limited to, private lessons, group lessons, lecture and social events, are all appropriate for this type of event. At least one instructor must be a current USDF Certified Instructor, Honorary Instructor, or USDF Instructor/Trainer Examiner who have completed their USDF continuing education requirements and Safe Sport Training. All instructors for camps are required to complete the Safe Sport Training. 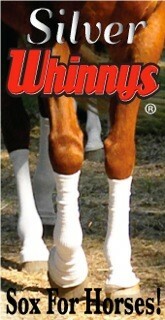 A minimum of one riding session per day, in the discipline of dressage. 4. Unmounted Events: Allow GMOs to offer members a program that does not include a riding opportunity. The GMO and Instructor will determine the curriculum. Instructor must be a current USDF Certified Instructor, Honorary Instructor, USDF Instructor/Trainer Examiner, current L Graduate with Distinction who has met the USDF continuing education requirements, USDF L Program Faculty Member, current USEF Licensed Judge or FEI Licensed Judge and have completed the Safe Sport Training. Host GMOs may submit a request for an exception to a requirement.Request must be in writing and include documentation that the requirement is preventing this event from being successful and the proposed solution or alternate strategy. Exception requests will be considered by the Education Initiative Review Committee and Organizers will be advised of the Committee’s decision within 10 days of the Committee’s receipt of the written request. NO exceptions will be granted for insurance requirements. GMOs hosting approved programs are also eligible to apply for a GMO Education Initiative Grant, for up to $1,000 to help cover losses. The GMO Education Initiative has four event formats. Each event format has specific criteria for the selection of the instructor or judge; additional instructors may be brought in as needed. Please use the filters on the Instructors and Officials List to help you find an instructor. GMOs may apply to utilize an instructor or judge that does not meet the criteria listed below but an exception request is required (Step 1B). 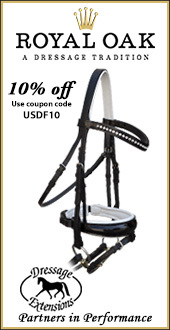 USDF membership of any level is required to participate as a rider in these events. There is no membership requirement for auditors or participants in the unmounted sessions. Riders of any age are eligible to participate in a GMO Education Initiative Event. 2. Ride-a-Test Clinics: Provide riders an opportunity to receive a judge’s feedback in a non-competitive environment. Beneficial to all, these clinics provide competitors an opportunity to improve their dressage test scores and provide non-competitors an opportunity to receive feedback from a perspective they might otherwise miss. All judges must be a USDF L Program Faculty Member, current USEF Licensed Judge, FEI Licensed Judge or current L Graduate with Distinction who has completed the USDF continuing education requirements and Safe Sport Training. All tests ridden must be USDF/USEF/FEI dressage tests. 4. Unmounted Events: Allow GMOs to offer members an event that does not include a riding opportunity. The GMO and Instructor will determine the curriculum. If you know what event type you are going to plan and if your instructor is on our list move directly to step 2. Otherwise move to step 1B. Step 1B: Submit an Exception Request if not using a pre-approved instructor. ***Please be advised: Organizers of GMO Education Initiative Programs requesting an Instructor Exception and receiving a GMO Education Initiative Grant will have the additional responsibility of submitting post program evaluations as an additional requirement of final grant fund disbursement. While it is our goal to receive evaluations from 100% of participants, responses from a minimum of 80% of riders and 50% of auditors is required and it shall ultimately be the organizers responsibility to ensure compliance. Evaluation responses will help the review committee determine if the Instructor is a good candidate for future exceptions so it is critical that organizers and participants understand their role in insuring the quality of instruction and education being presented. At a minimum the instructor or judge must have experience in teaching the proposed material or event type, have references available, and have successfully taught an event for USDF or a GMO in the past. Instructor exception requests are not guaranteed and will be approved only on a case by case basis. Approval of Instructor is for an individual event only. Subsequent requests will be reviewed upon submission. Approval of an Instructor does not constitute USDF endorsement. It is best to get your exception approved before you plan much further. A clearly defined refund policy. A clearly defined rider selection procedure, if mounted opportunities are available. A marketing plan that openly promotes opportunities to USDF members and others in the local equine community and promotes the attendance of auditors. A clear budget of expected expenses and revenue. An email confirmation will be sent to the organizer of the event when the event is approved, or will be contact by USDF if the event is not approved. Events may not advertise that they are a part of the GMO Education Initiative until they are approved. Instructor exception requests will be reviewed with the application and are not guaranteed. USDF Education credits are included for this program. Organizers not need to apply for a USDF University program or Continuing Education in Dressage Judging Program. Education programs can only be approved as one program. If you have any questions, please contact the USDF office before submitting the application and application fee. Hosting GMO or Chapters must be submit a completed GMO Education Initiative Event and Grant Application to the USDF Office at least 60 days before the event date. Grants are a maximum of $1,000. Grant consideration criteria will include, but will not be limited to, demonstration of financial need, event affordability, local need and accessibility for members who have limited access to instruction in the sport of dressage, and providing both riding and auditor opportunities. Grants will be awarded with regional/geographical representation considered. Up to 50% of the approved grant can be given to the GMO or chapter prior to their event, as seed money, if requested. If the event generates a profit, the GMO or chapter will reimburse USDF for funds distributed prior to the event, up to the break-even point. Only an amount up to the documented loss will be granted, not to exceed a total of $1,000.00. Additional funding support through outside sponsorship and additional grants will be allowed and encouraged, with approval from USDF. All grant applications will be reviewed for eligibility and to ensure regional/geographical diversity in the allocation of funds, seeking input from individual Regional Directors when needed. USDF will aid GMOs or chapters (if needed) in completing grant applications and meeting grant requirements. Only GMOs or chapters hosting an approved GMO Education Initiative event are eligible to apply for a GMO Education Initiative Grant. A GMO with multiple chapters may receive more than one grant per fiscal year but no more than one grant per chapter per year. Failure to comply with program rules will disqualify the GMO from receiving grant funds. Once the organizer has received confirmation that the event has been approved the GMO or chapter can begin to facilitate the event. All GMO Education Initiative events must obtain at least $1 million of liability insurance coverage, naming USDF as an additional insured at least 30 days prior to the event start date. The GMO/Chapter will, contact instructor(s), organize, promote locally, and facilitate all aspects of the event. When selecting riders, the GMO/Chapter will adhere to their stated rider selection guidelines. All riders must be USDF members. All participants, instructors, organizers, auditors and volunteers must physically sign a state specific waiver of liability for USDF. USDF will supply organizers with a digital file of this form upon application approval. If you used an instructor exception request you must also use the provided evaluation forms which will be sent digitally. Remaining grant funds will not be distributed without these evaluations. The organizer will compile a legible roster of all attendees and volunteers. Organizers may choose to utilize the available USDF Sign-in Sheet digital file. A complete roster of attendees, all signed waivers and a final profit/loss statement must be sent to the USDF office within 14 days of completion of the event. Organizers are encouraged to submit photos and an event recap for possible inclusion in USDF’s YourDressage, an electronic publication website. If the event generates a profit, the GMO or chapter will reimburse USDF for grant funds distributed prior to the event, up to the break-even point. Promotion: Marketing assistance will be provided via eNews, social media, and twice annually in a GMO Education Initiative ad in USDF Connection. Retrospectively, GMOs may submit photos and a brief recap of their event for possible publication in USDF’s YourDressage, an electronic publication website. USDF members (riders, volunteers and auditors) automatically receive USDF University credits, upon USDF receipt of attendance records from organizers. If you are interested in hosting an event please contact education@usdf.org to discuss your event and its eligibility as the program is developed. Event and grant applications are accepted throughout the year, but are due at least 60 days prior to the event. A budget for the event. Events should be budgeted in a way that provides area specific affordable riding and auditing opportunities for the membership, taking into account the venue and instructor’s costs. 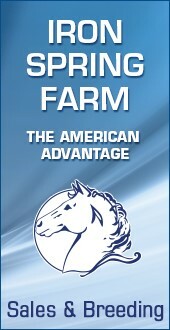 USDF membership of any level is required to participate as a rider in these events. There is no membership requirement for auditors or participants in unmounted events. Promotion: Marketing assistance will be provided via eNews, social media, and twice annually in an ad in USDF Connection. Retrospectively, GMOs may submit photos and a brief summary of their event for possible publication in USDF’s YourDressage, an electronic publication website. USDF (riders, volunteers and auditors) automatically receive USDF education credits, upon USDF receipt of attendance records from organizers. USDF will review all grant applications for eligibility. The GMO Education Initiative Grant Review Committee will review applications as needed to ensure regional/geographical diversity in the allocation of funds. The review committee will seek input from individual Regional Directors when needed. USDF will aid GMOs/Chapters (if needed) in completing event and grant applications and meeting grant requirements. Only GMOs/Chapters hosting a USDF GMO Education Initiative event are eligible to apply for a GMO Education Initiative Grant. A GMO may only receive one grant per fiscal year. A GMO with multiple Chapters may receive more than one grant per fiscal year but no more than one grant per chapter. Grant consideration criteria will include, but will not be limited to, demonstration of financial need, program affordability, local need and accessibility for members who have limited access to instruction in the sport of dressage, and providing both riding and auditor opportunities. Grants will be awarded with regional/geographical representation considered. Remaining grant funds will be distributed after the event, upon USDF receipt of the final profit/loss statement, supporting documentation of a program loss and submission of an event summary, photos (highly recommended), and attendance roster. Additional funding support through outside sponsorship and additional grants will be allowed and encouraged. Host GMOs may submit a request for an exception to a requirement. Request must be in writing and include documentation that the requirement is preventing this event from being successful and the proposed solution or alternate strategy. Exception requests will be considered by the Education Initiative Review Committee and Organizers will be advised of the Committee’s decision within 10 days of the Committee’s receipt of the written request. NO exceptions will be granted for insurance or membership requirements. How will I know about events in my area/where will my event be published? Events will be published in eNews, the USDF Connection magazine and on the USDF Calendar of Events. Also check out your GMO website and/or newsletter. Applications for USDF GMO Education Initiative Events and Grants must be submitted at least 60 days in advance of the event date. In order to be eligible for a grant the event must first be approved as a part of the USDF GMO Education Initiative. The event must also demonstrate a financial need for funding. Selection criteria will include demonstrated effort to address affordability or a local need, accessibility for members who have limited access to instruction in the sport of dressage or increasing the number of riding and auditor opportunities in the area. Grants will be awarded with regional/geographical representation considered. This USDF grant may be combined with outside grants and sponsorships. Events not awarded a grant may re-apply as long as the event is still 60 days out. Who can apply to host a USDF GMO Education Initiative event? GMOs and GMO Chapters may submit applications. Individuals and private facilities must work with their GMO. Where can I find an eligible instructor? A list of USDF Certified Instructors, Honorary Instructors, L Graduates with Distinction, Faculty and Judges can be found on the Instructors and Officials List. Please review the requirements for each event type in the Event and Grant Guidelines. Who is eligible to receive a GMO Education Initiative Grant? Only USDF GMOs or GMO Chapters hosting events are eligible for grant funding. Only one grant per GMO Chapter will be awarded in each fiscal year, but more than one Chapter of a GMO may qualify for funding of different programs in the same fiscal year. What is the maximum amount of $ we can receive in a grant, when will the funds be dispersed? Why should our GMO make our program a GMO Education Initiative Program? One of the primary objectives of the GMO Education Initiative is to create and support new programs that engage members who have been underserved in the past and provide education consistent with classical principles of dressage training. Hosting GMOs availing themselves of USDF support can be confident of the quality of the educational content. Utilization of approved clinicians/ instructors insures delivery of information in adherence with classical dressage principles and consistent with the Pyramid of Training, promoting classically correct dressage training at all levels. Participation in the GMO Education Initiative demonstrates a GMOs commitment to providing quality educational opportunities for all its members.